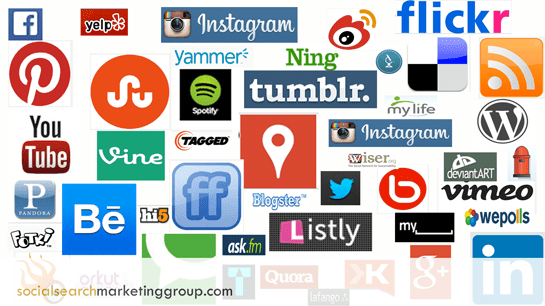 What are the right social media tools to use for business? The ” Social Media for Business: An FAQ (Frequently Asked Questions) series” is born out of my interaction with people IRL (in real life) and from work experience. The answer to the above question in regard to choosing the right tool will be published in two parts, and we begin with a typical scenario. Company Wazzup is in business for years and hears about the potentials of social media for their business. They, therefore, signed up for Facebook because “everybody’s on Facebook.” They, also signed up for other social media accounts. Everyday they show up online and interact and share posts. They, later, realized that social media is like a bottomless pit that needs to be fed and filled everyday. They find it overwhelmingly demanding and that its performance is underwhelming. After giving it some time, they concluded that it’s a total waste of time, so they decided to pull the plug. Who is the FAQ series for? Your business is online because it’s the buzz. You just have to be “there” and you don’t want to be left behind. We hear social media thrown in many times in conversations, don’t we? …the means of interactions among people in which they create, share, and exchange information and ideas in virtual communities and networks. Microblogging – Twitter dominates this realm. There’s Tumblr, also. Forums and similar type – Yahoo Groups, newsgroups and discussion boards? Media Sharing – YouTube, Vimeo, Flickr, etc. Content Curation – Pearltrees, Scoop.it, etc. Bookmarking Sites – Digg, Stumbleupon, Delicious, etc. Review Sites – Yelp, Tripadvisor, etc. Given the above types of social media tools, a question that is often asked is this: what tool is right for my business? If, when you joining either platforms, that was/is the first question you asked, then you have put the cart before the horse. The tool selection process only follows when you have already determined answers to either of the following questions. It comes LATER. Tool selection is NOT the first step.This is where we will end this topic, and next week’s social media for business series will pick up where we left off! Stay tuned! If there are questions you like covered in this series, feel free to ask below.